It's kind of odd how we mark one year into the next when in reality, it's just another day. Without clocks or calendars we would never know and probably wouldn't care. But in our busy lifestyles, we are constantly reminded of time. What do you dream of for the coming year? Your dreams can come true...write them down and create a plan. Follow your heart, do what you love and find your passion! I have been fortunate in my life to have found glass. I hope to bring you many new beads in the coming year. I plan new classes and shows, learning from my peers while finding inspiration in my constant love of nature, art, textiles and not to mention, Google images! Happy New Year!! Meant to post this sooner, but it is a busy month for everyone, I'm sure! 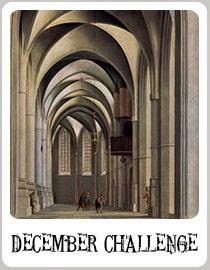 Art Bead Scene Blog has a monthly challenge and the December one is a very nice palette to work with, very neutral. I love working with a neutral color palette like this, there are so many options, especially in gemstones. 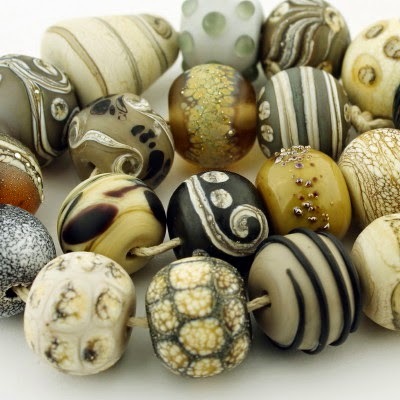 Lampwork beads also offer a wide variety of neutrals. 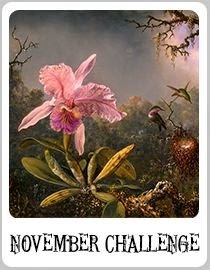 Bead makers can enter this challenge also and win a months worth of free advertising! 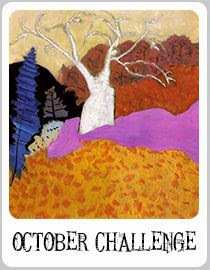 Just make a bead in the color challenge tones and enter on the Pinterest page. 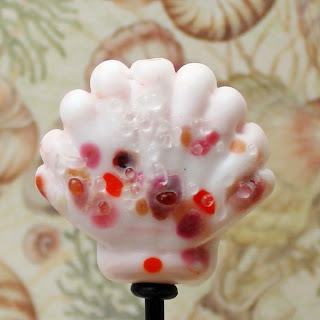 I hope to be blogging on a regular basis next year, so keep an eye out for lampwork and bead design tips and tricks as well as some of my own glass recipes and free tutorials. Today is the day hundreds of jewelry makers reveal their creations for Lori Anderson's 8th annual Bead Soup Blog Party! 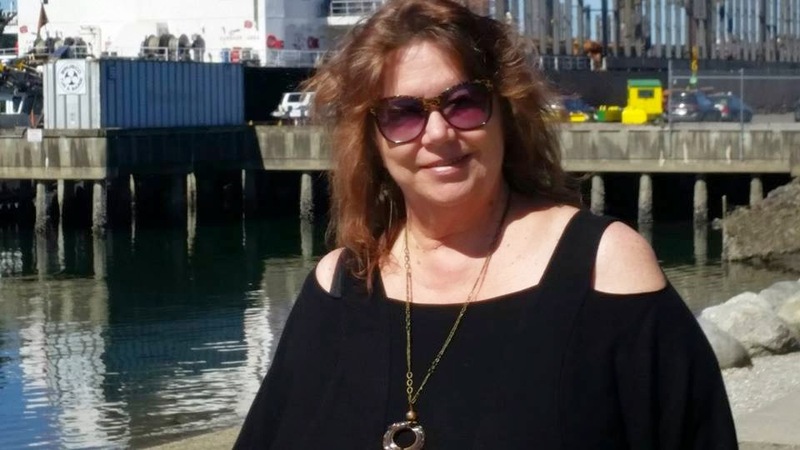 It has been a pleasure for me to work with my Bead Soup partner, Melissa Muir of Kelsi's Closet Jewelbox She is a metalworker and does lots of reviews of new product lines. Check out her blog to see what she did with the soup I sent her... Below is a photo of the soup she sent me.Lots of pretty gemstones, sterling silver and some handmade components. The beautiful handmade sterling silver pendant which I incorporated in my first necklace, and I also used the cute handmade "S" hook and eye clasp that she made in this design. I made a set of lampwork beads in cool colors of teal, dark blue and pale aqua, and used coordinating Swarovski crystals to tie it all together. This is a 27" necklace and will be listed in my Etsy shop after the blog hop. The coordinating earrings are made with the cute sterling silver flower beads and matching lampwork beads and crystals. I love these earrings! 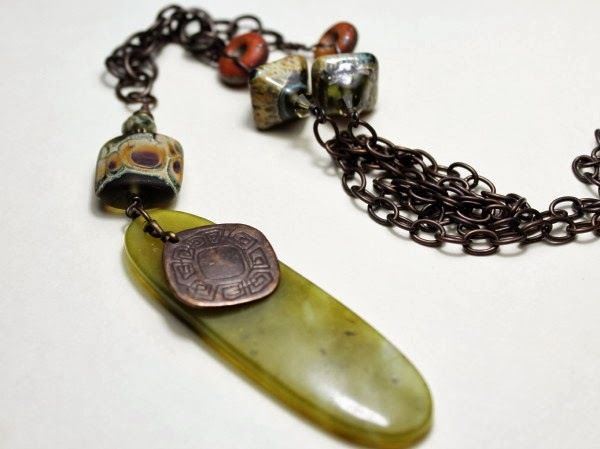 The second necklace I designed using the oval copper piece and the gemstones. I textured the oval and ran it through my torch to give it a patina, then polished it with Renaissance wax. 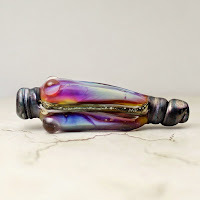 The lampwork beads I made are one of my favorite designs, with beautiful silver laden glass that really accents the gemstones. I made a copper clasp to finish off the piece. Time ran short for me so the earrings are still in the design phase! Last but not least...I fell in love with the copper and silver components that Melissa made. So I made a pair of earrings for myself with my lampwork beads! I wear a lot of black and earth tones, so these will get a lot of wear. I'd like to thank my partner, Melissa and our hostess with the mostest, Lori Anderson for another fun Bead Soup Blog Hop Party. Be sure to check out the other bloggers in this list. I can't wait to get started on my jewelry with my Bead Soup from my partner Melissa Muir of Kelsi's Closet a very talented wire work and metal artist. Below is the Soup she sent me for Lori Anderson's 8th Annual Bead Soup Blog Party. (Thank you again Lori for all your hard work! 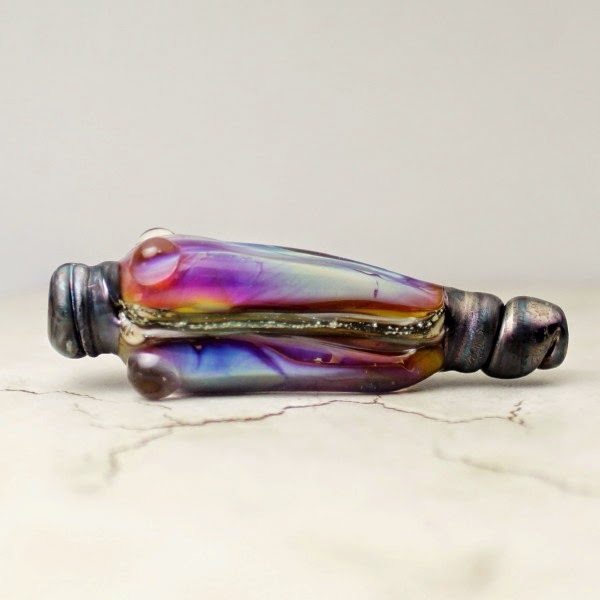 )I can't wait to work with those copper pieces, which I think I will torch for a little patina and then hammer for texture.I'll probably make a special set of my lampwork beads to go with the beautiful silver pendant that Melissa made. Below is a photo of the Soup I sent her. The Blog Hop Party reveal day is May 3rd...so stay tuned! The final list for the 8th annual Bead Soup Blog Party have been announced! My partner is Melissa Muir, a very talented metal smith. Here is her website http://www.melissamuir.com/ I look forward to working with her and can't wait to see everyone's designs! A big thank you to Lori Anderson and her family for putting this together through a lot of personal struggles. Have some pie Lori! It's that time again...Lori Anderson's Bead Soup Blog Hop Party! I can't wait to find out who my partner is this year. This will be my third party. I'd like to thank Lori for all she does for the beading community...especially since she has struggled with so many health issues. You can find out more about this fun bead swap party on her blog at http://lorianderson-beadsoupblogparty.blogspot.com/2014/02/a-few-things-to-mention-before-sign-ups.html Sorry...no eye candy today, Blogger won't let me upload a photo!